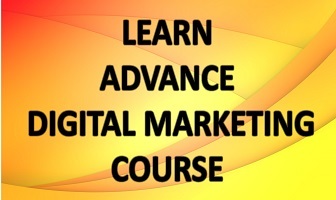 With over 18,000 products and over a 1000 brands bigbasket.com is India’s largest online grocery store. Big Basket has wide range of products like fresh Fruits and Vegetables, Rice and Dals, Spices and Seasonings to Packaged products, Beverages, Personal care products, Meats etc. Bigbasket provides all the products with good quality at low prices at doorstep in places like Bangalore, Mysore, Hyderabad, Vijayawada-Guntur, Chennai, Madurai, Coimbatore, Mumbai, Pune, Nashik, Ahmedabad-Gandhinagar, Vadodara, Delhi & Lucknow. Hari Menon with his five friends VS Sudhakar, Vipul Parekh, Abhinay Choudhari and V S Ramesh started their online retail website called ‘Fabmart’in 1999. Despite the fact that they managed to get some grip but their idea was way ahead so,they couldn’t shake the masses. They decided to start their online business again and focused all the energies on ‘Fabmall’, their physical retail chain of grocery stores. They also merged this chain with another grocery retail chain called – ‘Trinethra’. Within a period of seven years they expanded their business to 200 stores across Andhra Pradesh, Tamil Nadu, Karnataka and Kerala. At that point of time they decided to sell their business to Aditya Birla Group but Krishnan Ganesh an entrepreneur concluded to go ahead with it. 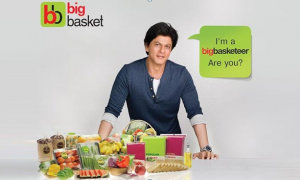 And finally in December 2011, they launched BigBasket.com! They got their first financing of $10million from ChrysCapital co-founder Raj Kondur and Ascent Capital. There were 15 financing rounds of more than $100 million in the entire year of 2014. So far this year, BigBasket has brought $150 million up in financing drove by UAE’s Abraaj Group to extend its services into small cities. Existing shareholders Bessemer Venture Partners and Helion Advisors along International Finance Corp and Sands Capital also participated in the round. Bigbasket followed ‘just-in-time model’. In this model perishable products were brought against an order where the delivery boy used to pick the product from the vendor , and delivers it to the cutomer. As the business grew they moved to an ‘inventory model’ for their products. Now bigbasket buys all the products directly from HUL, P&G, farmers, mills, etc. Bigbasket adds margin to purchased price before selling. BigBasket sources many of its products like apples, oranges, etc locally as well as nationally. These products are purchased nationally from their major producing locations; like local markets and local farmers. BigBasket has partnered with more than 1,800 grocery stores across India to deliver goods adopting a Hyper-local strategy. Presently BigBasket processes almost 20,000 orders per day, and has a team of 2000 members. Earlier they had adapted a hyper-local delivery start-up ‘Delyver’,to strengthen its delivery service. Despite the fact that, the organization functions as an independent entity, but the co-founders of Delyver have also been included in the management team of BigBasket. This obtaining will significantly help BigBasket in their Express Delivery model, to deliver groceries in short interval of time. ‘Shah Rukh Khan’ is their brand ambassador, they also promoted their brand on a high volume television, digital and print media campaign as well. Bigbasket with 20 cities and 6 metros, has a plan to expand 50 more cities with 8 large warehouses in metro cities.